SAN JOSE, CA - MAY 21, 2015: Naseeb Networks, a leading provider of employment marketplaces in emerging geographies, announced today that it has raised $6.5 Million in a Series C funding round led by Vostok Nafta and Piton Capital, bringing the company's total venture funding to $8.5 Million. Naseeb Networks will use the new round of funding to accelerate its growth in target markets. 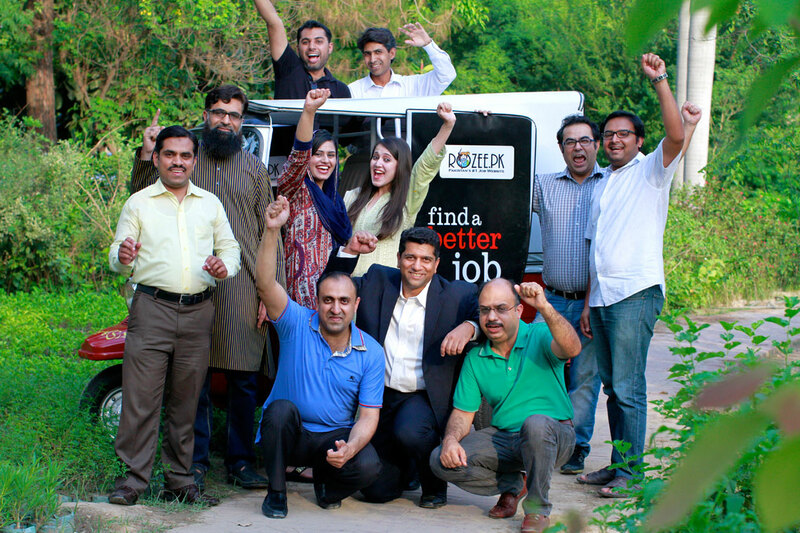 Naseeb Networks operates leading employment marketplaces in Pakistan (ROZEE.PK) and Saudi Arabia (Mihnati.com) focused on facilitating the matching between jobseekers and employment opportunities. Its complete range of end-to-end employment solutions are used by over 10,000 companies and 5 Million job seekers, processing over 1.5 Million job applications every month. In 2013, Naseeb Networks completed its acquisition of Mihnati.com, Saudi Arabia's largest indigenous recruiting solutions provider. After its initial market dominance in Pakistan, Naseeb Networks has grown Mihnati's profitability and visits over 500% by leveraging its advanced cloud based recruitment product portfolio, back office operations and business expertise in employment marketplaces. "As talent continues to move online at a rapid pace in emerging markets, businesses need increasingly sophisticated recruiting technology customized to nuanced local market dynamics," said Monis Rahman, Founder & CEO of Naseeb Networks. "Vostok Nafta and Piton Capital share our vision of enriching the lives of the millions of people that we serve by empowering them with employment opportunities." Vostok Nafta, Managing Director Per Brilioth, and Piton Capital partner Greg Lockwood, will join Naseeb Networks board of directors. Brilioth and Lockwood will play a key role in helping guide the company with their extensive experience in growing online classifieds businesses in emerging markets. "We are excited to partner with Naseeb Networks and impressed with what Monis and his team have achieved in Pakistan and Saudi Arabia," said Per Brilioth, Vostok Nafta Managing Director, "We believe these markets present massive growth opportunities and are looking forward to working with the team to expand the reach of Naseeb Networks' world-class products and services." Naseeb Networks is a venture backed US Delaware C Corporation operating online employment marketplaces with a focus on emerging markets. Naseeb Networks owns and operates ROZEE.PK, Pakistan's largest job site and Mihnati.com, Saudi Arabia's largest indigenous recruitment platform. Naseeb Networks offers its customers highly scalable enterprise grade cloud recruitment solutions, social recruiting tools, multilingual CV search technology and shortlisting services. The company is backed by Silicon Valley venture capital funds Draper Fisher Jurvetson and ePlanet Capital. Other investors include Reid Hoffman (LinkedIn), and MENA Ventures through its principals Fadi Ghandour (Aramex) and Arif Naqvi (Abraaj Capital). For more information - Forbes Magazine: bit.ly/rozeepk.